Delta Goodrem is to return to the charts this year with her first new material since 2008. The singer will time her return with appearing as a judge on the Australian version of Channel 9 series The Voice alongside Seal, Joel Madden from Good Charlotte and Keith Urban. Returning with Delta's trademark piano pop, the lead single is the glistening Sitting On Top Of The World was co-written and co-produced with Grammy Award-winning producer John Shanks, that is taken from her highly anticipated forthcoming album to be released later in 2012. 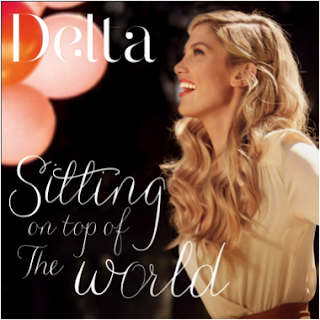 We'll bring you our verdict of Delta's new track shortly, however until then check out this video teaser the singer released.